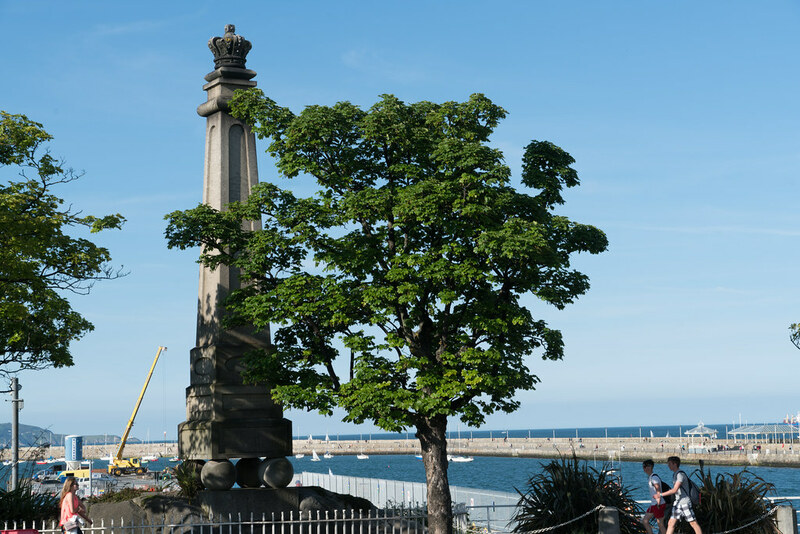 The town was officially renamed Kingstown in 1821 in honour of a visit by the British King George IV, but reverted to its ancient Irish name by resolution of the town council in 1921. This monument was erected to mark the occasion of the visit. George stayed in Ireland for a number of weeks, departing the country via Dún Laoghaire. Following his it was decided to mark the occasion with the erection of a monument in 1823. As you may have guessed this is one of the more controversial monuments in the area and has been subjected to vandalism and attacks during its history. Its treatment by locals reflects Ireland's changing relationship with the British Crown. At the time the visit was of huge interest to people, with huge crowds turning out to catch a glimpse of the monarch. 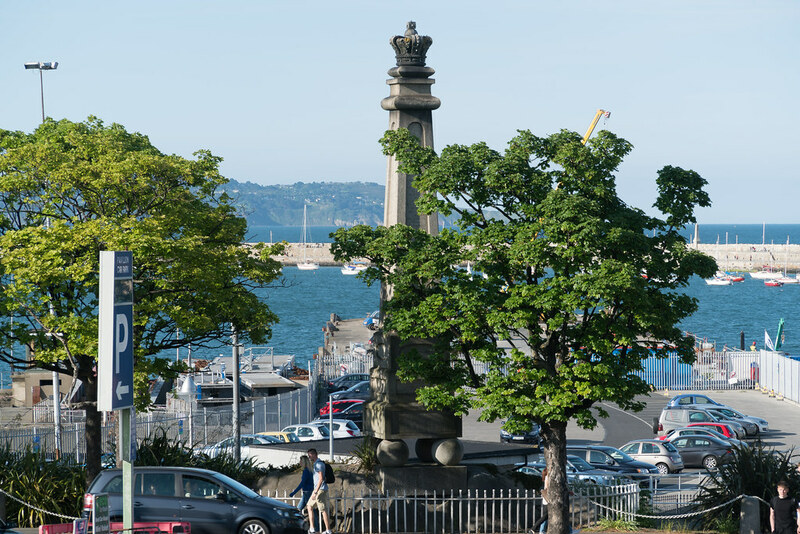 The Provisional IRA attacked the monument in the 1970s and damaged one of the four balls forming the base. In 1993 a grenade was placed under the monument causing a blast but it was not damaged. Also the monument has been vandalised, as was the case in 1981, when paint was sprayed onto it. Despite all these attacks it remains today as a reminder of another period in the history of the area.